The Cold Lake Music Festival Association is proud to provide an opportunity for music and speech students, both with private teachers and within the school system, to participate in a regional festival that is part of the larger Provincial and National Music Festival Association. The majority of participants come from the Cold Lake/Bonnyville area, but most years we welcome participants from St. Paul, Glendon, Iron River, Lac la Biche, Ardmore, and more. The Cold Lake Music Festival runs for two weeks every spring with sessions in the morning, afternoon and evening, all of which are open to the public. Showcase concerts are held at the end of the Festival featuring award winners. Some of the most outstanding performances are recommended to the Alberta Provincial Music Festival. We have approximately 500 entrants every year. An entry might be a soloist or a choir of 60 children. Classes include Piano, Vocal, Speech, Band, Choir, Instrumental, Musical Theatre and Music Composition. Children and adults (90% are under 18) perform for their peers as well as for professional adjudicators from outside the region. These adjudicators do a constructive critique of all performances providing a positive learning experience for everyone. Participants come away from festival with performance experience, learning from performances by peers, as well as feedback from the adjudicator. Every participant receives a written adjudication. 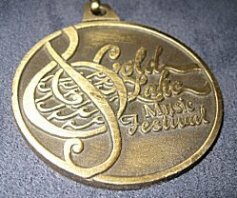 The Cold Lake Music Festival is a registered charitable society with a volunteer board. Many volunteers give their time year-round to help with administration, moving furniture, admissions table, etc. We operate on an annual budget of around $19,000, of which about $4,000 comes from entry fees. The remainder comes from local businesses, service clubs, corporations, and individuals who sponsor awards and other parts of the Festival. Since 1987, in partnership with our generous sponsors, the Cold Lake Music Festival has also been able to disperse several awards and scholarships, while helping promote music performance and education in Alberta's Lakeland.